H&R Sport Springs for Audi Q7 | H&R Special Springs, LP. Big on luxury and style, the Audi Q7 has it all. The many refinements and features in the Q7 make you forget you are driving a well-sized SUV. 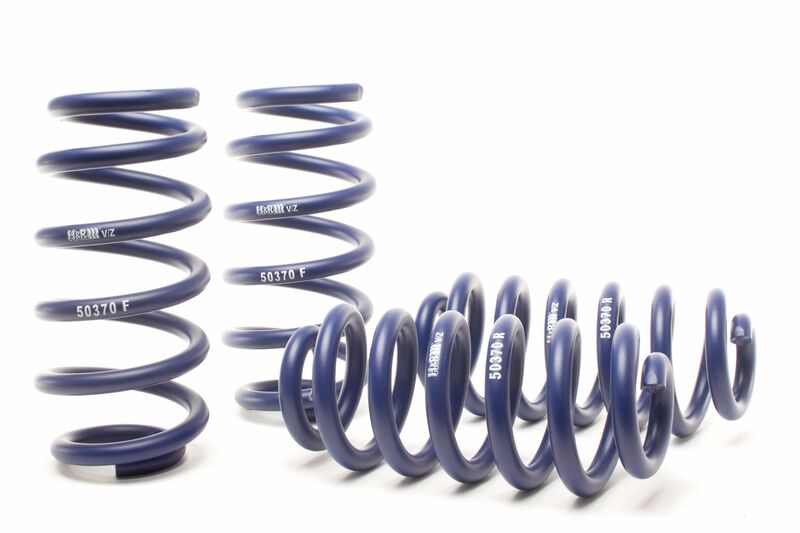 H&R ride development engineers further enhance this with a specially tuned set of H&R Sport Springs for tighter performance, superb ride comfort, and a reduced fender well gap for a sleeker appearance. H&R Sport Springs (part #: 50370) for the 2018 Q7 lower approximately 1.4” in the front and 1.2” in the rear. Lowering the vehicle’s center of gravity improves handling and creates a coveted European look – Wunderschön! Like all of H&R’s products, H&R Sport Springs are 100% made in Germany and use only the finest quality materials and precision manufacturing to maximize service life, for miles of smiles.H&R Sport Springs come with a limited lifetime warranty.